Applications will remain open until the party is full (6-8 members). First pick on or around 4/26/18. Team and Pace Team is selected based on "Best Fit". Posting rate is 1/3 (One post every three days). How did you ever end up here? A boy from the streets of Lusken who happened to have a long-lost uncle that left him a lone keep in this very foreign land. The journey here had been long and adventurous. The plan was simple - travel to the keep, sell it quickly for a little profit and then go home. It turned out that the people still in this place were strong, determined and dedicated to the family name. How could you just sell these lands out from under the generations of people that pledged themselves to this land and your family? It was harder than expected - much harder. It would take hard work to restore the Keep. It would take defending the Lands for the family name. 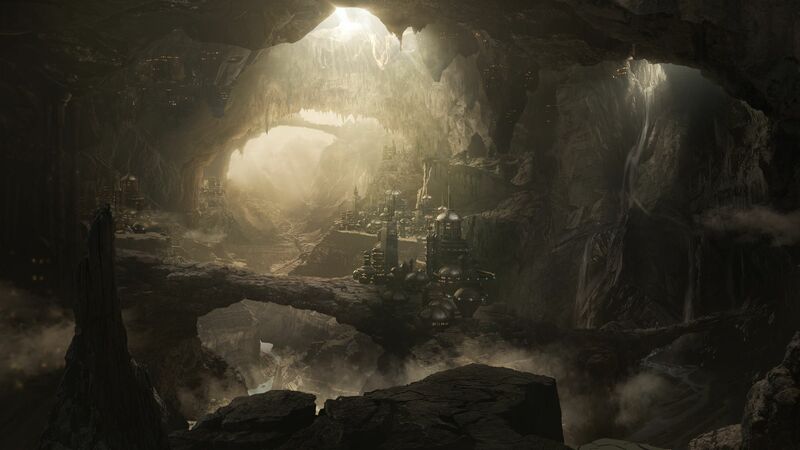 It would take venturing out to the surrounding dark and deep forests, and yielding from its ancient crypts and dungeons bounty to fill the coffers to fund the restoration. As well as the expansion. Dungeons, Dragons and the creatures of the dark, be damned. Game Concept: You play a character as usual. - but here is the twist. Due to your special circumstance, you have a Stronghold; either a Keep, a Tower, a Temple or a Establishment. In the future any of these could be come a Castle! Along with it comes followers that are either individuals or groups (units) of people that you are responsible for - both the care and feeding 'in-game' but also narratively. Each player in this game has a relationship with another player due to proximity of their stronghold to each other or due to relationships. Yes, its true: Not all neighbors, friends and family get along - at least not all the time. Laerakond (L-AIR-ah-KON-d) is also known as Returned Abeir to the people of Faerun and Sword Coast. This is a land of dragon kingdoms, high mountain ranges, forests, jungles, plains and trading communities, all surrounding a huge bay called the Dragon Sea. The sky is silver-colored due to arambar that the locals call, the steelsky. There is a region south of the Sword Lands and east of the Windrise Ports that is roughly 22,500 square miles of jungle, forest, swamps, mountains that few people call home - and mostly dragon free. Some people call these, The Forgotten Lands. Now, you call this place, Home. I'm a huge fan of the player narrative. Recently I've come to appreciate the stories that can be told best in the PbP format. I have another game called Descent: A Dragon's Tale that really helped me see what can happen when you give one player more narrative real estate then a OTB game can usually handle - like the internal dialogue between a dragon and his person in Descent or between the character and his followers in this game. I recently reviewed Strongholds and Followers and really liked how the system simplifies the old school concept of keeps and followers and realized that these could be yet another way to see the PbP format shine. THIS IS NOT a strategic warfare game and you do not need Strongholds and Followers to play this game. Yes, there will be epic battles but this a narrative/thematic approach that doesn't require that you track unit movements, etc. etc. If you love stories - most likely you'll appreciate this approach. If you like detailed, tactical war games - you may not be happy with how we handle this. Your application starts from the Person's perspective. The layout format is yours to decide but I'm going to require a bit more than my usual (flavor only) approach. I hope you understand that this type of game is not for everyone so please bear with me if it takes a little longer to select players for this campaign and that I'm asking a bit more from an application. 1. Please read this before you apply: Its my gaming Foundational Principle and FAQ. If you have a problem with what you read there, please stop at this point and don't apply. 2. Character Concept: Tell us the story; how did you come by your stronghold? I'll leave you a few prompts below but please let this be a good example of what to expect from your writing. Tip: Go high on feeling and low on details. * Did the chief of the Barbarian Camp suddenly die in battle and leave you - his heir in charge? * Did you win this Bard's Theatre in a luckey game of Dragon Dice? * Did your god announce that you'd be taking over an obscure Church in the wild frontier? * Did you happen unto the ruins of an ancient Fighter's Fortress and claim it as your own? * Did you win your way through mental and physical contest, entrance to the secret Monk's Monastery just to find it mysteriously abandoned? * Did you receive a quest from your god to reclaim a previously forsaken Paladin's Chapel? * Did your widowed mother have the dream of building her late husband's Ranger Lodge before she passed-on to her next life? * Were you mistaken for the returned prodigal son of the village Rogue Tavern owner? * Did the remote Sorcerer's Sanctum call to you after its master failed to return from the Pits of Lost Places? * Did you sign a pact with the great creature to gain access to an ancient Warlock's Fane? * Were you the last apprentice of the wonderous mage who not only gifted you your first arcane tome but also left you his Wizard's Tower and library? 3. A 3rd Level Character BUILD. Please don't do a full character sheet unless you REALLY want to - I know some of you like this part the most. I'm more interested in the build sheet. You may roll for your stats if you are feeling lucky! Use our character workshop and roller room for that purpose using the roll "4d6 drop 1 method." If you REALLY HATE the way your ability scores ended up, don't let that keep you from making a character for this game - just take the standard array of 15, 14, 13, 12, 10, 8 and go from there. Otherwise, use the 27-point buy system which includes the standard array. If you'd like to coordinate with other interested player candidates (we all can't be Tabaxi Rogues with taverns can we? ), you are welcome to chat each other up in the Character Workshop and Roller Room as well. Additional HP for each level beyond 1st is per the PHB. You roll those those out in our Character Workshop and Roller room OR take the average for the die (it will be listed in the PHB with your class). It's considered good form to link to your rolls if that is the option you take. Also, once you decide the method (roll or take the average listed in the PHB) you are locked in to that method. We don't mix and match or decide after we see the rolls. Just pick a method and keep to it. That's all there is to that. Yes, if its PHB/Aarakocra are excluded.EEPC/SCAG/VGtM/MRoF. * Optional Feat Rule? Not now; but will be available latter with some feats never allowed. * Starting Gear: You get the items from your class and background AND the starting funds from the PHB. You may use the "buy back" at 50% and use your resources for any common items. You may also buy (if you can) up to 1 uncommon magic item and up to 2 common magic items. Include this in your build notes for simplicity. 1 War Domain +Heavy Armor Prof., +Martial Weapon Prof.
... You keep going to level three. You can also include your gear purchases/trades in the same build notes or in a separate table - your preference. Here is a copy of the BB code I used to make the table above. You are welcome to copy/paste it if it helps. 1| War Domain | +Heavy Armor Prof., +Martial Weapon Prof. Your Banner/Sigil: You can describe it or even better - show us! What does it mean? Where did it come from? Does it belong to your forefathers, your patrons, or is it personal to you? Iconography of your character's brand could be the Sigil of your house if you are focusing on your family roots or if your character is focusing on their martial might, perhaps it's a full Coat of Arms. To the cleric or druid types out there, it might your personal version of your god's symbol - your holy item. Again, this is totally up to you but it will be the symbol that establishes your presence in an area and is used for treaty, trade, your follower's and unit's banners, and so on. Be sure it's something you won't get tired of seeing! Your Words: "Winter Is Coming", "The Cold Never Bothered Me Anyway" - just kidding with that last one. What is your bannerman's cry? What oath do you swear by as your sally forth into battle? If you need help with your Coat of Arms, Banner or Sigil, see my resource page for easy to use generators - I esp. like the new GOT Sigil/Banner generator. I'm looking forward to seeing what you come up with and as always, if you have questions or would like more details, please post them below. Last edited by savoylen; 04-23-2019 at 05:04 PM. Backstory/Concept: The Black Watch. Warriors of Vengence. Dark Knights. They once had many names-- the order now long forgotten and lost beneath the mountains. The empty temples’ halls and streets whisper the past of these great Oath takers of retribution. Prevalent at their hight of power and at great cost to themselves, these Paladin stood between those who would do harm to those who were weak. At least, that’s what Picha had heard in the stories. These very mountains home to something as grand as that! And now he had found it...By a happy accident! Finally! He was due some good fortune for once in his life! A temple had called to him specifically, like a tug on his soul. Bounding up countless steps, he reached the vast hall where birds called home. Perched in the crevices of the gigantic carved status of warriors past. Picha found a pool of crystal clear water turned blood-red by a deep glow resting at the bottom of the shallow well. He was moved more by curiosity, and the resonance within him. It was like it called to him. It was only when he reached his hand in that a searing, hot pain flashed his sight to brilliant white. A voice boomed inside his head, echoing words that were neither man nor woman. This is what purpose was. Meaning. This was it. He had been lead here for a reason, certainly, this was no accident. Other’s must have the same calling-- the need for a purpose beyond simply existence, right!? Plus, he could help people too. He would find others like him...He could make this place somewhere safe, a place for people nowhere else to go, and people who wanted to fight for more than themselves. Listen, I have a story! Me? Hapless? Hah!...Well, ya, you’re right. I didn’t got this 'Jinxed' name nothin’ and no reason. I mean, I am caked from head-to-toe in mud right now, but let me tell ya it worked out for me this time! Okay, so there I was wondering the mountains nearby-- I don’t have anywhere else to go, see-- anyway, I was caught in a storm! Rain was fallin’ and I could scarcely see in front of me five feet. I fell into this hole that qushhh opened right up that wasn’t there a second ago. Lossed my footin’ and fell in. When I woke up I saw the craziest thing, sir! It was an underground city of some sort. But this place, no one was there though. Maybe not for a long time and there was this glowing table-thing. I couldn’t help myself. I touched this bright, glowing thing on it and I probably shouldn’t have...It hurt like that time I stuck my foot in that mole hole last Summer. Then there was this loud voice in my head and said something like, “No Mercy for the Wicked” and I thought I was going crazy and-- Hey, wait! I’m not making this up! Don’t walk away! Fine! I’ll tell you what, though. I’m going to be something! I’m going to be the best, powerful and great and--I’m going to save people. Just you watch! Words: LEAD TO LIGHT OR BLOOD: Make a stand no matter the cost to yourself. Fight the powerful who would be wicked. Make battle against the violent slaughtering of innocence. Dark knights will show no mercy in making right the grievous deed. Battle Cry: LIVE GREAT. DIE BETTER. Last edited by Odyssey; 04-10-2019 at 01:01 PM. Cool beans! Let me know if you have any questions. I'll be updating post #1 about regional information (I already have a PM on that one). I have wanted to play with the strongholds and follower rules since i was a kickstarter member...still waiting on my hard copy but i have the PDF. Backstory: Ysara was born in the western jungles of Laerakond to a strong tribe of yuan-ti, her father was the leader of the tribe and for a long time it peaceful coexisted with the tribes around them. When Ysara was born her father wanted to give his daughter the world and so he started to conquer the tribes nearest him with ease. After each tribe was assimilated her father took time to allow them to fit in before taking the next which gave great stability to the tribe as it grew. All of this changed when Ysara turned eight and started to tinker with things and watching the few blacksmiths the tribe had. within four years Ysara began creating weapons and armor of great craftsmanship. Emboldened by his daughter's success her father sped up the campaign to take over Laerakond to give to her as a birthright. Everything went very well for the tribe for the first six years but soon after that the tribe ran into the dwarves of the mountains and the advance was halted by the stubborn sturdy dwarves. Ysara was told by the god of the forge that her people were destined to be destroyed, that in order to survive she would have to have a place of faith. Ysara told her father that Gond had commanded her to build a chapel at the base of the mountains near the rivers. Her father didn't like that his daughter was taking orders form anyone except him but with pledging she convinced him and he had it built. After it was built she wanted it to be forgotten by her tribe in order to keep it save through what she new was coming. Through deception and diplomacy she convinced her father to take everyone and leave. She followed and fought side by side with her tribesmen for six more years and in the end the conquest was a stalemate, the tribes won some and the dwarves won some which angered her father. Ysara stopped giving her father advice as was requested by Gond as well as starting to distance herself over the next few weeks. Soon Ysara was at the back-lines of the conquest preaching to everyone who listened and that's where she started to establish herself as a leader. The conquest ended as many dwarven clans descended from the mountains and just rolled over the tribes without much trouble, killing the tribe leader, his guard, and his most aggressive soldiers and sending most of the rest running back to their old lands. As the dust settled the dwarven army came against one finale group of Yuan-ti but this one was different, this one was lead by a calm and level headed. She and those who followed her held out against three separate attacks without losing a single warrior, which gave them pause. Ysara used that pause to negotiate with the dwarven leaders, and she was able to garner a safe place for herself and her followers on the condition that the dwarves could send people to check in on them whenever they choose. Ysara agreed and took her followers, followed by several units of dwarves, back to the chapel she had her father built the craftsmanship astounded the dwarves who started to regret giving her the land but it was already an agreement that was made. 1 Yuan-ti Ability Score Increase. Your Charisma score increases by 2, and your Intelligence score increases by 1. 1 Yuan-ti Innate Spellcasting: You know the poison spray cantrip. You can cast animal friendship an unlimited number of times with this trait, but you can target only snakes with it. Starting at 3rd level, you can also cast suggestion with this trait. Once you cast it, you can't do so again until you finish a long rest. Charisma is your spellcasting ability for these spells. 1 Yuan-ti Magic Resistance. You have advantage on saving throws against spells and other magical effects. 1 Yuan-ti Poison Immunity. You are immune to poison damage and the poisoned condition. 1 Noble Feature: Position of Privilege Thanks to your noble birth, people are inclined to think the best of you. You are welcome in high society, and people assume you have the right to be wherever you are. The common folk make every effort to accommodate you and avoid your displeasure, and other people of high birth treat you as a member of the same social sphere. You can secure an audience with a local noble if you need to. 1 Cleric Skills: Choose two: Insight, Religion. 1 Forge Domain Bonus Proficiencies When you choose this domain at 1st level, you gain proficiency with heavy armor and smith's tools. 1 Forge Domain Blessing of the Forge At 1st level, you gain the ability to imbue magic into a weapon or armor. At the end of a long rest, you can touch one nonmagical object that is a suit of armor or a simple or martial weapon. Until the end of your next long rest or until you die, the object becomes a magic item, granting a +1 bonus to AC if it’s armor or a +1 bonus to attack and damage rolls if it’s a weapon. Once you use this feature, you can’t use it again until you finish a long rest. 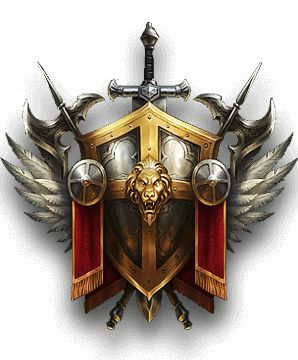 2 Forge Domain Channel Divinity: Artisan's Blessing Starting at 2nd level, you can use your Channel Divinity to create simple items. You conduct an hour-long ritual that crafts a nonmagical item that must include some metal: a simple or martial weapon, a suit of armor, ten pieces of ammunition, a set of tools, or another metal object. The creation is completed at the end of the hour, coalescing in an unoccupied space of your choice on a surface within 5 feet of you. The thing you create can be something that is worth no more than 100 gp. As part of this ritual, you must lay out metal, which can include coins, with a value equal to the creation. The metal irretrievably coalesces and transforms into the creation at the ritual’s end, magically forming even nonmetal parts of the creation. The ritual can create a duplicate of a nonmagical item that contains metal, such as a key, if you possess the original during the ritual. Last edited by Rylus; 04-08-2019 at 07:25 PM. Nice! If we can survive long enough, perhaps we can even work in the sequel, Kingdoms & Warfare. I hope you'll consider applying! This looks pretty darn fun! Going to put a place holder here and should have something fleshed out come Monday. What is the deadline for apps? Appearance: Not the tallest or most muscular among his tribal-kin. On the contrary, he's fairly small and lean in build. Just enough muscle to be considered average and handle typical tribal work but not enough to take down a wild boar on his own, no. Cloaking himself in dirty grey and tan wolf pelts to give the illusion of bulk to his body and hiding the numerous scars his weakness have earned him through the years. 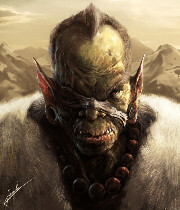 His salt and pepper hair is quickly starting the thin and recede on his slightly wrinkled scalp as the years are beginning to catch up and show on his light green half-orc skin. Both of his tusks snapped off at his jaw line causing his lip to puff out ever so slightly at both sides of the mouth encompassing the stub of where the tusks once were. One soft brown eye peers out from a face that seems to have a permanent scowl, the other eye coated in a cataract causing it have a murky brown hue about it, not seeing a thing in years. Rise of Lumarth It was while Atugal was trying break down the old wooden door that I finally looked down at my younger brother, the life quickly fading from his body. Malozar and I created a make-shift gurney to carry him after that viper struck him in the neck. The fates love their cruel jokes indeed. The rain falling around the four of them wasn't helping either, holding tight to the pelt serving as a gurney I looked to my tribal brother shouting "Get that door open before I use your skull as a battering ram!!" the spittle flying from my mouth as I tried to hide my panic behind the rage. That was the way of our tribe, don't panic, be steadfast, and strike true; like a viper - just like the viper that struck my brother Zasad, our tribal leader. With a loud CCCRACKK Atugal succeeded in knocking the door off its hinges. "C'mon!" I heard his deep grizzled shout behind me but there was no need as Malozar and I began to charge forward as soon as we heard the crack. I felt my back push into Atugal's shoulder as we moved through the doorway. Had he not have already been moving out of the way I wouldn't have been able to push him at all. There was no out-muscling the tribe's champion. Feeling the soft sediment of the forest floor become hard and slick told let me know I was inside as I walked backwards aimlessly. My leather boots offering very little protection from the cold of the stones we tread upon. "Where's somewhere to set him!?" I shouted trying to look over my shoulder as I walked backwards sensing death on our tails after my brother's soul. "There brother, to your right!" Malozar called out from the other side of the gurney with Zasad's limp foot bouncing free from the pelt and hanging over the side. Spotting what appeared to be an old wooden table with iron bands attached to the legs we continued our charge and damn near threw Zasad's fading body onto it. "One of you get a light! We can still save him!" I commanded coming around the side of the table and attempting to look at the bite on Zasad's neck. The ability to see in the dark that we were so proud during our hunts was of no help here as I couldn't make heads or tales of how bad the bite looked. All I saw was the puncture wound. "Lumarth.." I heard Atugal calmly say my name as his footsteps were almost drowned out from the rain falling outside. It was the tone he didn't want to hear, it was the tone he's used a dozen times over for different members of the tribe! Please, not that tone! This was Zasad! If he were to die it were to be in glorious combat! Not by some damned lucky viper!! Malozar managed to light a torch and brought it over casting light onto Zasad and bringing color to my vision. My younger brother laid there, pale, motionless, with eyes half opened. We were not fast enough, Death had taken yet another brother from me, this time it was actually my own blood-brother. By tribal tradition that meant - "Zasad has left us. Lumarth is our new chief." Malozar spoke up holding the torch over Zasad's now cooling body. The words he said were meant for me to accept my fate, its what we did for the family of each fallen brother or sister - but to hear it for one so much younger than me, so much stronger, and with far more leadership skills. I'm not ready - I'm not meant to lead! I've never been a warrior! We all knew that! What is a warrior tribe to be if their leader was one of the physically weakest amongst them?! Exasperated I looked around at the stone room we took shelter in. It looked mostly dwarven in make, just heavily worn down. "After the rain stops bring the others." I finally managed to say something "They need to say their goodbyes and..." I left my brother's side. I had to tell myself he wasn't here anymore and forced the pain down into my stomach, the position I hoisted onto brother after brother has finally fallen in my lap. I looked at the empty broken room feeling the cold air taking hold of my wet skin and burning my lungs. This was my punishment for shirking my duties as the eldest member for so long - it was finally time for me to take charge "Welcome their new home and Chief!" My reign has, sadly, begun. Concept My aim is to have what would be considered a reject in a warrior tribe unwillingly take charge and lead his tribe to (possible) prosperity and hopefully shed their nomadic bloodthirsty ways. It will likely be a hard up-hill battle for him to keep his tribal brothers and sisters in check, but it sounds like an amazing story I would love to see play out. Words:Aim once, strike true. - Everything has a tender point. Everything. Even the tallest mountain or most fortified keep. The key to victory is learning that point and striking before they knew what hit them. Just like a viper. Can I ask what the general posting expectations are? Both in terms of frequency and length? Thanks - I'm really looking forward to seeing what happens with this too!! I'm going to Aim with have every one selected and tucked away in their new homes by April 26th. I'll update the first post with that info. - so thanks for bringing that up! If it becomes obvious who the selectees are before then, we'll get started sooner... and if it gets crazy and hard in might be a bit latter. I'll be sure to keep this thread updated so there are no surprises for anyone. Good one! I'll be sure to update the first post. I like a fast-paced game (in PbP terms)... so that is 1/3 - one post by the end of the third day. Depending how that rolls out, that's two week day posts and one over the weekend - ish. Of course, if you've already posted 3 times that week - take the weekend off! As for length... that's a hard one. Quality is paramount. I'm looking for people who like to tell stories. You are largely going to be writing about your stronghold even while we are adventuring elsewhere. That's going to take a few words - but your writing style is your own. I'm find with breaks - so be sure to let the team know that your disappearing and we'll cover for you! In the summer, there will be about a three week break - toward the end of July. I do humanitarian relief projects in various places. This year, I'll be in Asia (normally I'm in the USA). I hope that got your question. I hope to see an app from you! Last edited by savoylen; 04-06-2019 at 08:14 PM. Physical Description: Cesh is a bit hard to pin down on looks alone. At first glance some may think she's of the Shou ethnic group, but her larger build and height, combined with her dusky to olive skin tone suggests Tethyrian ethnicity. She has a warrior's athletic build at six foot tall, combined with a beautiful face, deep honey colored eyes, straight black long hair and a disarming smile. It is rather easy for most to follow her if they like what she's saying. When about her business she wears decorative, but quite functional medium mixed plate armor and a helm, polished and adorned in purple. The look is topped off with an elaborate helm, and a deadly looking Glaive. Cesh is not what she seems, or at least she didn't used to be. It's a bit confusing to her as well, but she views it all as a matter of her Patron looking out for her. 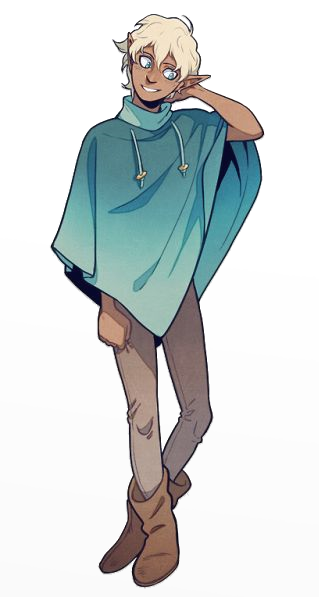 Cesh started out under the tutelage of a War wizard as he was thinking her to be the kind learned person, though a bit too pretty for the life, who had a knack for the arcane. Early on he saw through her guise of pretending to be a wizard who would scribe, memorize, and cast spells. He never asked who her Warlock patron was, but treated her like it was less than desirable, and probably evil. Still, he allowed her to hire out like his war wizards from the Isles, and she began to learn her own craft and ability to cast magic. It didn't help that some wanted her more on missions than her Benefactor's prized war wizards, due to her unique or different approach to such things. She's made mistakes aplenty and was never more than a hireling or follower in reserve, or simple cannon fodder on more than one occasion. Her last mistake was a big one, and several warriors died over what she failed to do, or was supposed to do with the arcane abilities at her disposal. She had been distracted by a vault of treasure, and this had been her downfall. She was told to wear the armor she found, and had it altered to fit her in a custom manner, and taught how to wear it as a sign for all in her merc unit. Sent on a fact finding mission, a violent storm had the crew mutiny against her, feeling she was the cause of their bad luck. They sent her ashore to the place they were nearest to, having no clue where they were. Marooned, she was. She followed a path inland away from the stormy coast, looking for a settlement, with just her gear and provisions, and while going through a narrow pass, came across a tower. It was dark and stormy, and she made her way inside, noting some kind of disturbance was taking place. She quickly realized there was a downright battle going on inside this tower. She had left one mutiny for another. It seems the wizard of this tower had locals and such working for him, and they were revolting against him. She quickly saw they didn't have a chance, which meant she didn't have much of a chance, and she was tired of running. So, she used what she knew and quickly went to his side. Using intimidation and deception, she distracted him, saying she was from his friends in the North and there to help him escape or slay his opponents. It worked for luck or who knows what, and she turned on the mad mage, slaying him with her Glaive and Hex warrior abilities. She became an instant hero to those in the tower who served the mad mage, and they have now made her their new liege. They rally around her banner, and she goes along, not sure how to take it all at first. She makes a decision to start anew, and never go back to her old life. She will... be Lord of all - or whatever ladies are called who hold a tower. Truth be told, she has no idea what the words on her armor and helm mean, the banner inscribed upon it. She's asked a few, and they did not know. She explained to those at the tower that she was a Far Traveler, and her ship was wrecked off shore during the storm. When asked why she came to stand up to and slay the mad mage, she said the first thing that came to mind; "...who dares, wins." She had heard it somewhere, and had dropped off the "he" in front of the phrase as she wasn't a he. Those at the tower now used it as a rallying cry, or when asked why they are following Cesheria. Last edited by Drachenspirit; 04-19-2019 at 12:43 PM. This seems like a really cool game. I have a character concept in mind, but I'm not sure how detailed you need us to be. The character I'm thinking about is a marine whose led a successful career, but one full of controversies and run-ins with their superiors. She pretty much carries out her orders using tactics a pirate might favor and is rather controversial herself. My idea for how she ended up with a keep is that she gets assigned to maintain it as a sort of pseudo-punishment and to keep her out of her superior officer's hair for a while. But she is not the sort to take to something with half-measure and dives into the assignment with full gusto. Last edited by Raizen; 04-06-2019 at 08:46 PM. My idea for how she ended up with a keep is that she gets assigned to... Would you say this fits in with the theme you're going for? Absolutely. The classical pirate ship is considered to be something like the Barbarian's Camp.. but unlike them, the ships get faster as they get larger! It really depends on how you'd like to interact with the others and how you see her struggling with her own internal conflicts. I think any of those would be a blast - but don't limit yourself. If you have another idea, run with it! Last edited by savoylen; 04-06-2019 at 08:55 PM. Backstory:The cracked grey cobblestone rambles on through twists and turns, the sagging structures on either side wilted and casting grasping shadows along the path. The stomach turning stench of rancid flesh hangs heavy in the air and you can hear the gentle lapping of brackish water splashing against the rotting dock obscured in the mist ahead. You pause in the middle of the broken path, and slowly turn around in an attempt to get your bearings. A loud creaking sound erupts in protest from beside you and you whip back around, startled. Before you is a decrepit, hunched over old man. His long greasy hair drapes over an impossibly curved back, while he wrenches open a partially collapsed rusted iron gate. He cackles at your evident discomfort and tosses a wooden bucket full of offal in your direction, the waste splashing on your weathered boots. Welcome to Terengath...indeed, you think as you emphatically shake the filth from your legs. The once grand trading town on the coast of the sea is no longer. After the Tremors had catastrophically reformed the land, Terengath has become landlocked, now wasting away on the banks of a huge fetid swamp. In the years since the last tremor, the city has begun to be abandoned to the elements, all those with sense beginning to leave for more hospitable climes. As civilization and justice retreat headlong from Terengath, those of ill repute stay and try to set down deep roots of greed and bile that threaten to spread throughout the region. A slightly acidic mist fills the air of the city, drifting in from the depths of the Bogamir, irritating any exposed skin while making your chest reflexively heave in great rattling coughs. Your face covered, you continue walking down the rambling pathway, knowing that the deserted city before you is a charade. The rundown time worn buildings themselves look to be empty and devoid of life, but the underground labyrinth of flood pipes and sewage tunnels teem with activity. The scurrying sounds echo from below and are clearly audible on the streets above. Whatever it is that calls the moldy depths its home makes no attempt at subterfuge. There is no reason for it to do so...it belongs here...you do not. Your family, royal though they were, perished in the cataclysm. You did not belong then… what makes you think you belong now? The half sunken black stone tower, leaning as if gasping for air, lies ahead in the distance... your families seat of power. Will you... or can you claim it? Words: Night has fallen. Nature does not lean towards life or death... She is neutral... the scales are balanced. If you wish to survive... do so... Act! To do nothing is to accept the inevitability that is death. The city of Terengath has recently accepted its fate. No more! Now we shall act... we shall bend no longer. We will survive. Bannerman Cry WE SHALL RISE!" Last edited by Begon Ugo; 04-16-2019 at 09:45 AM. Thanks for the quick feedback, Savy! What do you mean the application starts from the Person's perspective. Are we supposed to apply in character? No worries... that's what I here for! You certainly can - I'm being very flexible with the format though Begon Ugo's off to a great start in the previous post if you'd like to see what I'm impressed by. Use the prompts I gave as inspiration but feel free to go your own way on the presentation of your vision. Truely, as long as the info is there, you can't make a mistake on formating. If you are interested in selection criteria, I always go with story, then mechanics.